One of the world’s top Super Smash Bros. players recently knocked Nintendo for not sufficiently supporting the scene and said he hoped that Nintendo heard him. This week in Los Angeles, they did—after we played a clip of his speech to Nintendo of America president Reggie Fils-Aime. I’d played the clip for Fils-Aime while we were in the midst of discussing Nintendo’s approach to competitive gaming. The company held tournaments for its new and upcoming Switch games all week in Los Angeles, using the events to hype the multiplayer potential of Arms, Splatoon 2 and Pokken Tournament Deluxe. 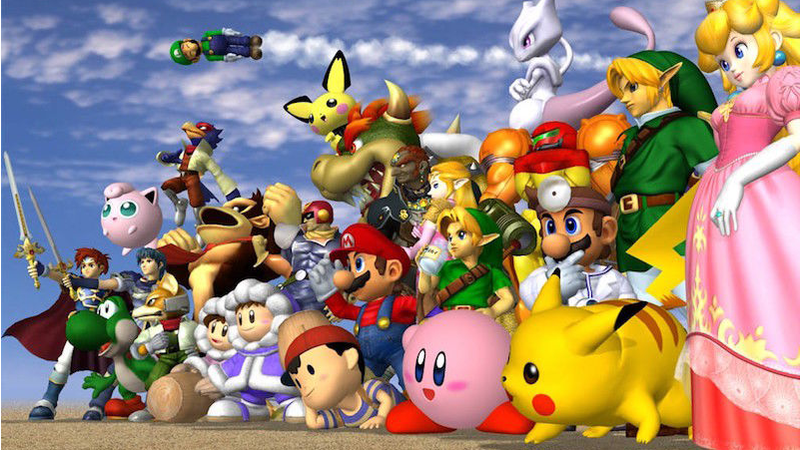 In recent years, it has also run Smash Bros. tournaments, including one where Hungrybox and Fils-Aime faced off. Despite those flashy Nintendo-backed events, Fils-Aime said Nintendo mostly wants to keep things grassroots. Fils-Aime and Hungrybox faced off in Smash Bros. at the 2015 Nintendo World Championships, which were held in conjunction with that year’s E3. Nintendo has officially backed the inclusion of Smash Bros. games at EVO, the world’s biggest fighting game tournament, long after the series became an unofficial mainstay there. It’s done the same for the Apex tournament. Debiedma, however, is among the players asking Nintendo to do more. I pressed Fils-Aime about what he made of the Smash pro’s statement. “I will say this,” he added. “Five, six, seven years ago, as we engaged with our developers and talked to them about Smash Bros. and what was happening, there was not a lot of understanding about this space. And it’s been people like [Nintendo of America’s] Bill Trinen and JC Rodrigo and all of these folks who understand the space that have helped us educate our company and educate our developers around the benefits of engaging with the community and empowering and enabling this to happen. What I meant by ‘push’ was not to ‘challenge,’ but to support. Hungrybox had already seen Nintendo downplay the idea of making an official league, so he’s not expecting it to happen, certainly not for Melee, which isn’t even the Smash game that Nintendo seems most interested in promoting.